There’s nothing more thrilling than walking into a beautiful new kitchen, so it’s no surprise that this is one of the most popular house extensions in the UK. You use your kitchen every single day, so it’s important to choose the right kitchen worktop for your family’s needs. 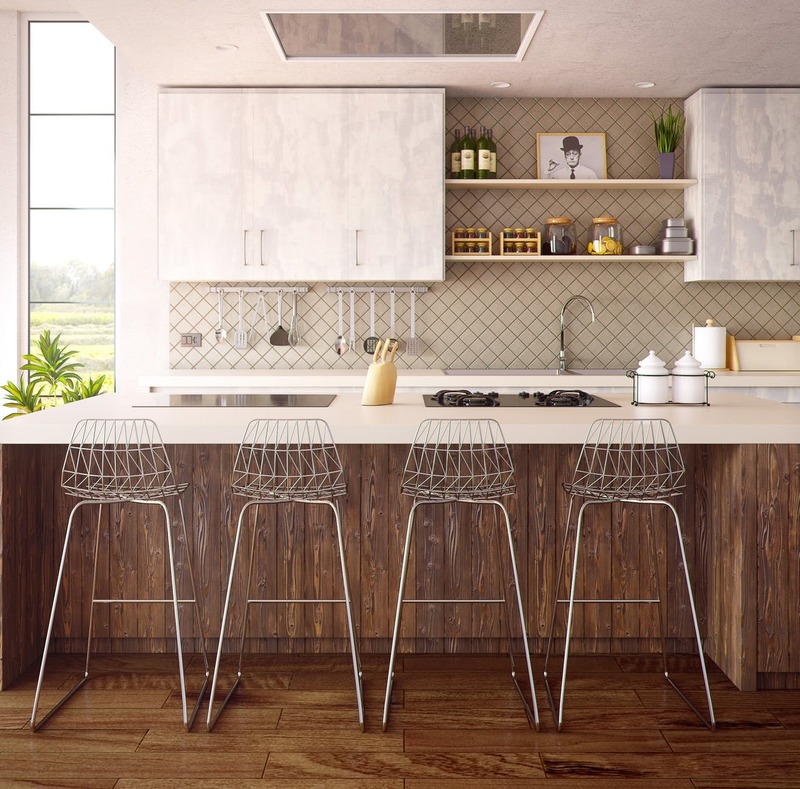 Kitchen worktops can vary massively in price and durability, but here’s a handy guide to the pros and cons of a few of the most popular materials available. There are plenty of reasons why granite is an extremely popular choice for a kitchen worktop. It’s hard-wearing, heat resistant and very easy to clean. It’s heavy, so it’s very durable, but this does make installation difficult if you’re trying to do anything yourself. The main downside of a granite worktop is that it's extremely expensive. If you’re not planning to stay in your property long-term, there may be better places to invest a limited budget. If you love the idea of granite, but want a more uniform finish, quartz may be a good option. It’s man-made, so can be customised to your exact colour scheme, and is also durable and easy to clean. However, it’s still an expensive choice, and may be slightly less heat-resistant than granite. Laminate is one of the most affordable kitchen worktops available, and is extremely popular. It can be designed to look like more expensive materials and - depending on quality - can be relatively scratch and heat-resistant. However, it’s nowhere near as durable as a stone finish worktop. Issues with wear over time may include peeling, and it will burn or melt under direct heat. Laminate also scratches easily, which can become unhygienic. If you want to buy a laminate kitchen worktop, make sure to see (and feel!) it in person first. Wood can be a beautiful and stylish option for a kitchen worktop, and comes in cheaper than stone, but it requires more maintenance than any other option. You’ll need to oil your surfaces bi-annually to protect them from stains and damage, but if you’re happy to put the time in - and you’re ok with a few scratches here and there - you’ll find that a wooden worktop can age beautifully over time. A modern option that has grown in popularity over the last few years, glass worktops can add a stylish, contemporary twist to any kitchen. Glass countertops are durable, heat resistant and can produced in any colour, although you’ll need to wipe them frequently to keep fingerprints at bay. More commonly found in commercial kitchens than in home, a stainless steel kitchen worktop can nonetheless be a cool twist on a modern set-up. Stainless steel countertops are strong, easy to clean and heat resistant, but they can look a little cold and clinical unless you have a clear vision of how you want to integrate them into your overall kitchen design. Whatever your dream kitchen looks like, an experienced architect can help to guide you in making bold, beautiful choices that work for your home. If you’d like to understand what a kitchen extension could look like in your home, give our friendly experts a call today. We produce all the architectural floor plans, elevations and 3D renders that you need to bring your brand new kitchen to life!